You know this thing about Cooking Games? 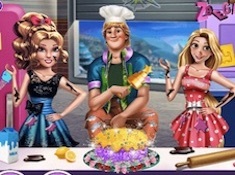 If you where interested about cookery, probably playing these cooking games online you will be a professional cooker, a master chef in kitchen, that's why we suggest you to play these games with fast food, cookies, cake. If you don't know how to cook, you can open the cookbook to fry food, then to feed these peoples that are in your virtual restaurant. In Cooking Games you can find 341 games that we've published for these kids and childrens that are interested to play Cooking Games, this game gategory have been created on 03.11.2015. These games with Cooking Games have been voted 1 times and the avarage of vote is 5.00 stars. We advice you to play the last flash game from Cooking Games, Crazy Mommy Street Food Truck that have been published on 28.02.2018 13:00. 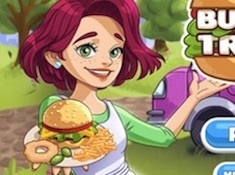 Burger Truck Frenzy its a part of Cooking Games category and until now its played 507 times. Try it now on Cute-Games.com! If your like the Burger Truck Frenzy game you can write a comment in the game page. Recommend this game to your friends if you like it! Monster High Pizza Decor its a part of Monster High Games category and until now its played 566 times. Try it now on Cute-Games.com! 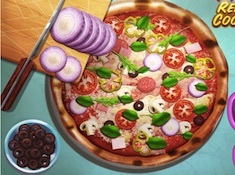 If your like the Monster High Pizza Decor game you can write a comment in the game page. Recommend this game to your friends if you like it! Fabulous Angela High School Reunion its a part of Ability Games category and until now its played 437 times. Try it now on Cute-Games.com! If your like the Fabulous Angela High School Reunion game you can write a comment in the game page. Recommend this game to your friends if you like it! High School Girl Fat to Fit its a part of Girl Games category and until now its played 667 times. Try it now on Cute-Games.com! If your like the High School Girl Fat to Fit game you can write a comment in the game page. Recommend this game to your friends if you like it! Sisters Cakes Battle its a part of Girl Games category and until now its played 532 times. Try it now on Cute-Games.com! If your like the Sisters Cakes Battle game you can write a comment in the game page. Recommend this game to your friends if you like it! Candy Factory its a part of Cooking Games category and until now its played 469 times. Try it now on Cute-Games.com! 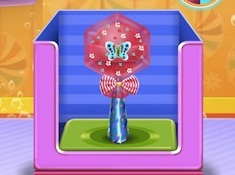 If your like the Candy Factory game you can write a comment in the game page. Recommend this game to your friends if you like it! Cooking Scene its a part of Cooking Games category and until now its played 603 times. Try it now on Cute-Games.com! If your like the Cooking Scene game you can write a comment in the game page. Recommend this game to your friends if you like it! 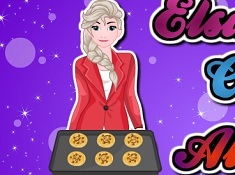 Elsa Cooking Almond Cookies its a part of Frozen Games category and until now its played 431 times. Try it now on Cute-Games.com! If your like the Elsa Cooking Almond Cookies game you can write a comment in the game page. Recommend this game to your friends if you like it! Audrey Mood Swing its a part of Girl Games category and until now its played 464 times. Try it now on Cute-Games.com! If your like the Audrey Mood Swing game you can write a comment in the game page. Recommend this game to your friends if you like it! 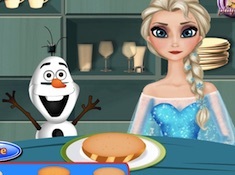 Elsa Frozen Dessert Trifle its a part of Frozen Games category and until now its played 498 times. Try it now on Cute-Games.com! 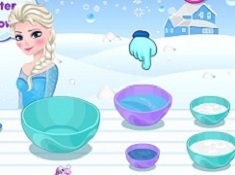 If your like the Elsa Frozen Dessert Trifle game you can write a comment in the game page. Recommend this game to your friends if you like it! 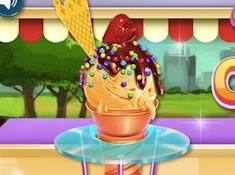 Ice Cream Truck Cooking its a part of Truck Games category and until now its played 671 times. Try it now on Cute-Games.com! 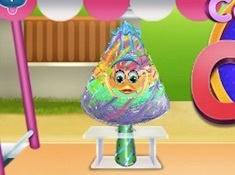 Colorful Cotton Candy its a part of Cooking Games category and until now its played 471 times. Try it now on Cute-Games.com! If your like the Colorful Cotton Candy game you can write a comment in the game page. Recommend this game to your friends if you like it! 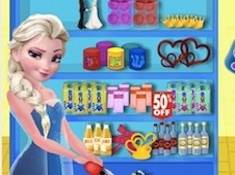 Elsa Cake Decoration its a part of Frozen Games category and until now its played 615 times. Try it now on Cute-Games.com! If your like the Elsa Cake Decoration game you can write a comment in the game page. Recommend this game to your friends if you like it! Pizza Realife Cooking its a part of Cooking Games category and until now its played 556 times. Try it now on Cute-Games.com! If your like the Pizza Realife Cooking game you can write a comment in the game page. Recommend this game to your friends if you like it! 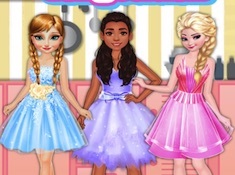 Winter Warming Tips for Princesses its a part of Frozen Games category and until now its played 569 times. Try it now on Cute-Games.com! 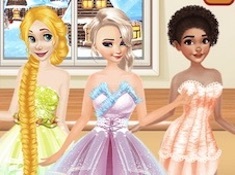 If your like the Winter Warming Tips for Princesses game you can write a comment in the game page. Recommend this game to your friends if you like it! Elsa Cooking Hamburger its a part of Frozen Games category and until now its played 618 times. Try it now on Cute-Games.com! 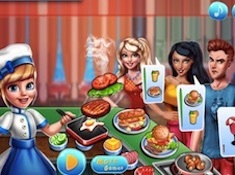 If your like the Elsa Cooking Hamburger game you can write a comment in the game page. Recommend this game to your friends if you like it! Desserts Cooking for Party its a part of Cooking Games category and until now its played 668 times. Try it now on Cute-Games.com! If your like the Desserts Cooking for Party game you can write a comment in the game page. Recommend this game to your friends if you like it! Tinkerbell Shoes its a part of TinkerBell Games category and until now its played 524 times. Try it now on Cute-Games.com! If your like the Tinkerbell Shoes game you can write a comment in the game page. Recommend this game to your friends if you like it! 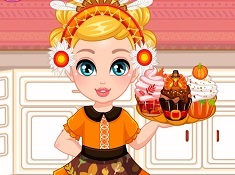 Thanksgiving Cupcakes its a part of Cooking Games category and until now its played 512 times. Try it now on Cute-Games.com! If your like the Thanksgiving Cupcakes game you can write a comment in the game page. Recommend this game to your friends if you like it! Fruit Chocolate Cake Cooking its a part of Cooking Games category and until now its played 619 times. Try it now on Cute-Games.com! If your like the Fruit Chocolate Cake Cooking game you can write a comment in the game page. Recommend this game to your friends if you like it! Delicious Emily Miracle of Life its a part of Cooking Games category and until now its played 504 times. Try it now on Cute-Games.com! 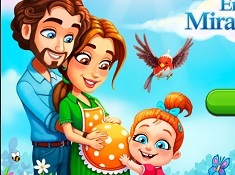 If your like the Delicious Emily Miracle of Life game you can write a comment in the game page. Recommend this game to your friends if you like it! Barbie Candy Shop its a part of Barbie Games category and until now its played 493 times. Try it now on Cute-Games.com! 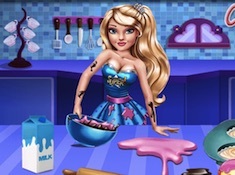 If your like the Barbie Candy Shop game you can write a comment in the game page. Recommend this game to your friends if you like it! Ice Cream Donuts Cooking its a part of Cooking Games category and until now its played 538 times. Try it now on Cute-Games.com! If your like the Ice Cream Donuts Cooking game you can write a comment in the game page. Recommend this game to your friends if you like it! Rainbow Macaroons Cooking its a part of Cooking Games category and until now its played 623 times. Try it now on Cute-Games.com! 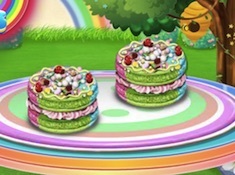 If your like the Rainbow Macaroons Cooking game you can write a comment in the game page. Recommend this game to your friends if you like it! 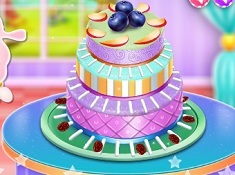 Colorful Cookies Cooking its a part of Cooking Games category and until now its played 535 times. Try it now on Cute-Games.com! If your like the Colorful Cookies Cooking game you can write a comment in the game page. Recommend this game to your friends if you like it! Princesses Cooking Competition its a part of Princess Games category and until now its played 587 times. Try it now on Cute-Games.com! 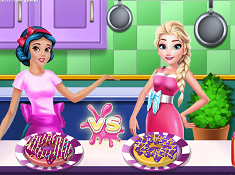 If your like the Princesses Cooking Competition game you can write a comment in the game page. Recommend this game to your friends if you like it! 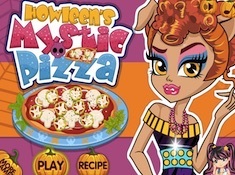 Howleen Mystic Pizza its a part of Monster High Games category and until now its played 687 times. Try it now on Cute-Games.com! If your like the Howleen Mystic Pizza game you can write a comment in the game page. Recommend this game to your friends if you like it! Easy 2 Cook Mango Yogurt its a part of Cooking Games category and until now its played 651 times. Try it now on Cute-Games.com! 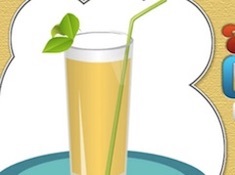 If your like the Easy 2 Cook Mango Yogurt game you can write a comment in the game page. Recommend this game to your friends if you like it! 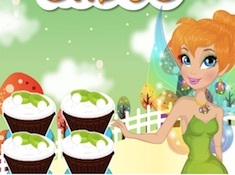 Cupcakes Chef its a part of Decoration Games category and until now its played 608 times. Try it now on Cute-Games.com! If your like the Cupcakes Chef game you can write a comment in the game page. Recommend this game to your friends if you like it! 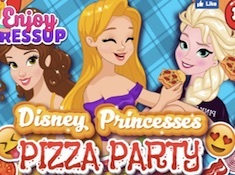 Princesses Pizza Party its a part of Princess Games category and until now its played 679 times. Try it now on Cute-Games.com! If your like the Princesses Pizza Party game you can write a comment in the game page. Recommend this game to your friends if you like it! 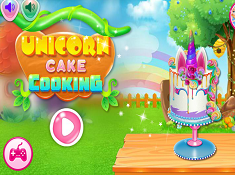 Unicorn Cake Cooking its a part of Cooking Games category and until now its played 535 times. Try it now on Cute-Games.com! If your like the Unicorn Cake Cooking game you can write a comment in the game page. Recommend this game to your friends if you like it! 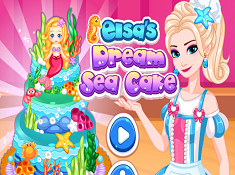 Elsas Dream Sea Cake its a part of Frozen Games category and until now its played 612 times. Try it now on Cute-Games.com! If your like the Elsas Dream Sea Cake game you can write a comment in the game page. Recommend this game to your friends if you like it! Daddy Cooking Time its a part of Girl Games category and until now its played 654 times. Try it now on Cute-Games.com! If your like the Daddy Cooking Time game you can write a comment in the game page. Recommend this game to your friends if you like it! Home Made Ice Cream Cooking its a part of Cooking Games category and until now its played 785 times. Try it now on Cute-Games.com! 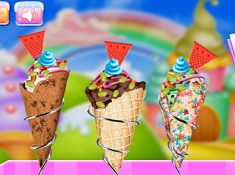 If your like the Home Made Ice Cream Cooking game you can write a comment in the game page. Recommend this game to your friends if you like it! Burger Hotdog Stand its a part of Ability Games category and until now its played 726 times. Try it now on Cute-Games.com! If your like the Burger Hotdog Stand game you can write a comment in the game page. Recommend this game to your friends if you like it! 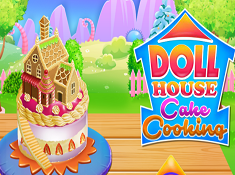 Doll House Cake Cooking its a part of Cooking Games category and until now its played 569 times. Try it now on Cute-Games.com! 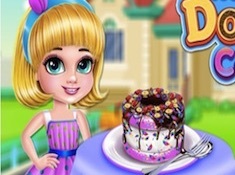 If your like the Doll House Cake Cooking game you can write a comment in the game page. Recommend this game to your friends if you like it! 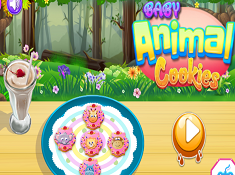 Baby Animal Cookies its a part of Cooking Games category and until now its played 667 times. Try it now on Cute-Games.com! If your like the Baby Animal Cookies game you can write a comment in the game page. Recommend this game to your friends if you like it! 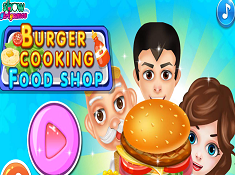 Burger Cooking Food Shop its a part of Ability Games category and until now its played 648 times. Try it now on Cute-Games.com! 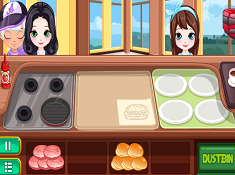 If your like the Burger Cooking Food Shop game you can write a comment in the game page. Recommend this game to your friends if you like it! 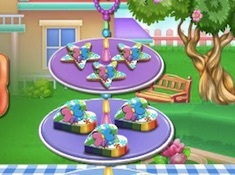 Pony Cooking Rainbow Cake its a part of Animal Games category and until now its played 800 times. Try it now on Cute-Games.com! 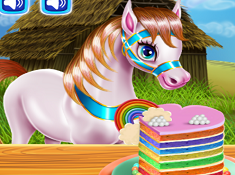 If your like the Pony Cooking Rainbow Cake game you can write a comment in the game page. Recommend this game to your friends if you like it! Princesses Cooking Contest its a part of Princess Games category and until now its played 750 times. Try it now on Cute-Games.com! 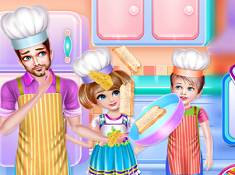 If your like the Princesses Cooking Contest game you can write a comment in the game page. Recommend this game to your friends if you like it! Ice Cream Sandwich Cake its a part of Cooking Games category and until now its played 614 times. Try it now on Cute-Games.com! 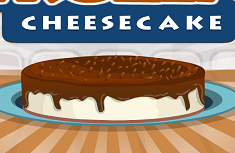 If your like the Ice Cream Sandwich Cake game you can write a comment in the game page. Recommend this game to your friends if you like it! BBQ Steak Tacos its a part of Cooking Games category and until now its played 693 times. Try it now on Cute-Games.com! 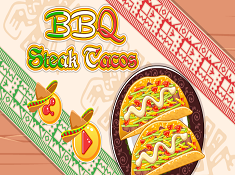 If your like the BBQ Steak Tacos game you can write a comment in the game page. Recommend this game to your friends if you like it! Papas Bakeria its a part of Ability Games category and until now its played 786 times. Try it now on Cute-Games.com! If your like the Papas Bakeria game you can write a comment in the game page. Recommend this game to your friends if you like it! Papas Taco Mia its a part of Ability Games category and until now its played 672 times. Try it now on Cute-Games.com! 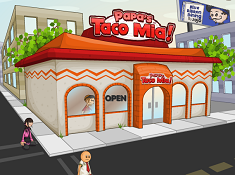 If your like the Papas Taco Mia game you can write a comment in the game page. Recommend this game to your friends if you like it! Papas Hot Doggeria its a part of Ability Games category and until now its played 675 times. Try it now on Cute-Games.com! If your like the Papas Hot Doggeria game you can write a comment in the game page. Recommend this game to your friends if you like it! Papas Susheria its a part of Ability Games category and until now its played 1161 times. Try it now on Cute-Games.com! If your like the Papas Susheria game you can write a comment in the game page. Recommend this game to your friends if you like it! Princess Donuts Shop 2 its a part of Snow White Games category and until now its played 705 times. Try it now on Cute-Games.com! If your like the Princess Donuts Shop 2 game you can write a comment in the game page. Recommend this game to your friends if you like it! 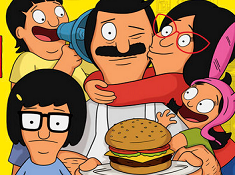 Big Bobs Burger Joint its a part of Bobs Burgers Games category and until now its played 1842 times. Try it now on Cute-Games.com! 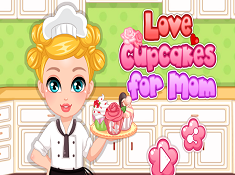 Love Cupcakes for Mom its a part of Cooking Games category and until now its played 543 times. Try it now on Cute-Games.com! If your like the Love Cupcakes for Mom game you can write a comment in the game page. Recommend this game to your friends if you like it! Black Forest Frozen Cheesecake its a part of Cooking Games category and until now its played 609 times. Try it now on Cute-Games.com! If your like the Black Forest Frozen Cheesecake game you can write a comment in the game page. Recommend this game to your friends if you like it! 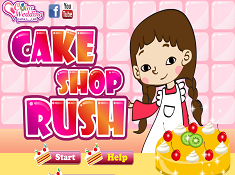 Cake Shop Rush its a part of Cooking Games category and until now its played 590 times. Try it now on Cute-Games.com! If your like the Cake Shop Rush game you can write a comment in the game page. Recommend this game to your friends if you like it! 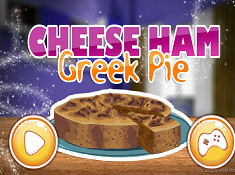 Cheese Ham Greek Pie its a part of Cooking Games category and until now its played 723 times. Try it now on Cute-Games.com! If your like the Cheese Ham Greek Pie game you can write a comment in the game page. Recommend this game to your friends if you like it! 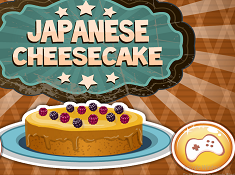 Japanese Cheesecake its a part of Cooking Games category and until now its played 589 times. Try it now on Cute-Games.com! If your like the Japanese Cheesecake game you can write a comment in the game page. Recommend this game to your friends if you like it! 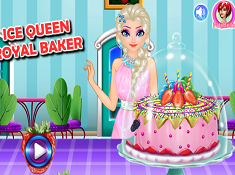 Ice Queen Royal Baker its a part of Frozen Games category and until now its played 682 times. Try it now on Cute-Games.com! If your like the Ice Queen Royal Baker game you can write a comment in the game page. Recommend this game to your friends if you like it! Sopapilla Cheesecake Pie its a part of Cooking Games category and until now its played 700 times. Try it now on Cute-Games.com! 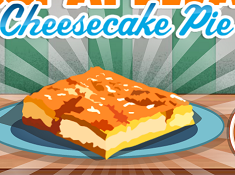 If your like the Sopapilla Cheesecake Pie game you can write a comment in the game page. Recommend this game to your friends if you like it! 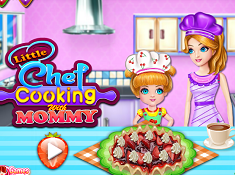 Little Chef Cooking with Mommy its a part of Cooking Games category and until now its played 831 times. Try it now on Cute-Games.com! 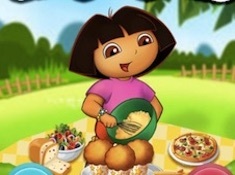 If your like the Little Chef Cooking with Mommy game you can write a comment in the game page. Recommend this game to your friends if you like it! 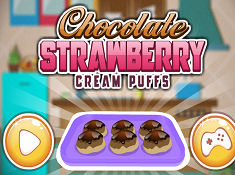 Chocolate Strawberry Cream Puffs its a part of Cooking Games category and until now its played 575 times. Try it now on Cute-Games.com! If your like the Chocolate Strawberry Cream Puffs game you can write a comment in the game page. Recommend this game to your friends if you like it! Find More About Cooking Games! Our new Cooking games are now available and they are waiting for you to meet them and to prove your chef skills by making interesting foods and delicious cookies. In our games you can be a pizza chef, you can be a Kitchener in some stall and making burgers, a confectioner or a master chef in some expensive restaurant. All you have to do is to choose your favorite game and sizzling like no other and maybe you will discover that you can be a good chef and you can learn to do amazing foods. For that, we prepare for you a lot of ingredients like olive, tomatoes, bacon, gammon, eggs, ketchup and many more for brewing a pizza or we have spaghetti, mozzarella, oregano, olive oil and others for cooking an Italian food and you also have all the ingredients you need for grilling a chicken or beef meet for shaorma. In other cooking games you will have to make cakes, pies, muffins, pancakes like an expert confectioner and you can decorate them however you like. For cooking games cookies we prepared for you sugar, whipped cream, marzipan, flour and a lot of colored creams for decorate your dessert and with that ingredients you can make cakes for girls with pink, purple, white and other colors, cakes for boys with blue, yellow, green and other color for cream or you can make a dessert in your own style like you are doing that for you. Cute-games.com has games for everyone and for this reason we have cooking games for kids, cooking games for girls, cooking games for boys, cooking games for teens and each one of this games are made in different ways with different degrees of difficulty. Here, you will have to cook for your clients which can be characters from Disney, Cartoon Network, Nickelodeon or they can be celebrities and you will have to prepare delicious foods because they are regular with a good life and expensive foods. Because you can stain your clothes we have for you a cooking apron or a chef costume with cap and in that way you can cook in a clean environment with clean clothes. For new free cooking games follow us and you will have a lot of beautiful surprises and new adventures and also if you want other cooking games that we didn`t published yet, you can tell us what game do you want and we will publish it for you. We hope that you will have a lot of fun being a chef and you will fry the most tasty foods and desserts.